Tami S. Crosby joined Kolar & Associates as Senior Counsel in 2017. 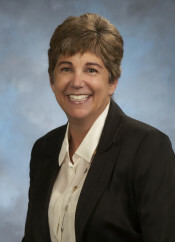 She brings almost 30 years of litigation experience to the firm and has had a successful career representing Plaintiffs in medical malpractice and product liability cases, handling the defense of personal injury, product liability, and premises liability cases for municipalities and other governmental agencies including The Orange County Transit Authority, The Orange County Sanitation District and The Orange County Water District, as well as defending financial institutions in a variety of cases, including commercial and lending transactions. She has successfully tried a number of cases to verdict and has participated in more than 300 arbitrations, mediations and settlement conferences. Ms. Crosby has served as a Judge Pro Tem handling mandatory settlement conferences for the Court. She has argued dozens of appeals before the Court of Appeal, the Bankruptcy Appellate Panel, the Ninth Circuit Court of Appeal and the California Supreme Court. Ms. Crosby obtained her BA (Political Science with a minor in Sports Medicine) from Chapman University and her JD from Western State University College of Law. She is admitted to practice in the U.S. District Court in all districts within the State of California and in all California Bankruptcy Courts. She is a member of the State Bar of California and the Orange County Bar Association. In her spare time, Ms. Crosby enjoys skiing and spending time with her family and friends. Ms. Crosby is a life-time Orange County resident.